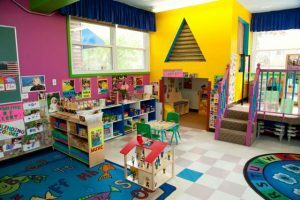 Here at Toddler Town Daycare, we strive to create an environment that is enlightening, comfortable, empowering, educational and safe for all children as well as staff within our two separate daycare centers. Our curriculum is a web-based tool which is used across the board at both locations. Parents are strongly encouraged to accept our digital invitation and explore all that the site has to offer and to better understand the lessons and activities your child will engage in at our educational preschool. Within this website, parents have full access to their child’s development. Having this type of opportunity creates an interactive partnership between parents and teachers so that together we can work as a team to ensure that each child’s ability and potential is reached while enrolled in our Chicago daycare and beyond. Once an invitation has been accepted by the parent(s), all of their child’s information is available to them. Assessments, lesson plans, documentation of child’s daily experiences in addition to important classroom and administrative information can all be found within the website. Furthermore, parents and staff can communicate via the website through messages sent from either end. Monthly newsletters are also created and posted on the school website for parents to view. Through the links provided in this section parents can view examples of what they will find online and at our daycare centers. Weather permitting, there will be time allocated twice per day for outside activities and freeplay. During freeplay at our Chicago and Evanston daycare centers, each child will be exposed to: dramatic play, block play, sand and water play, reading and drawing materials. 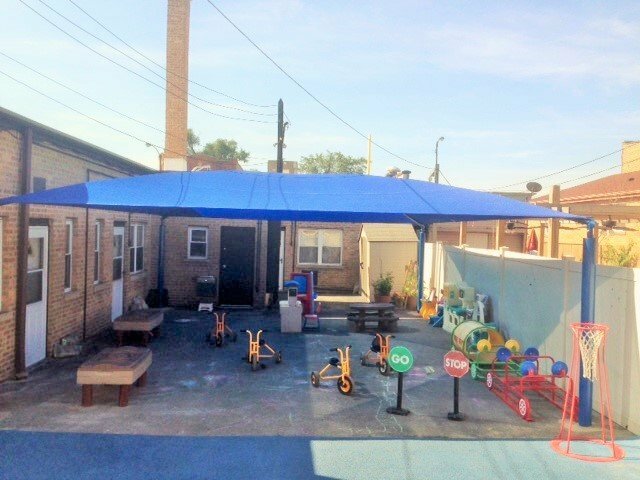 During outdoor play, our shade structure is “designed to block up to 90 percent of the sun’s harmful UV rays and keep playground temperatures up to 30 degrees cooler.” We believe that children should be safe and enjoy themselves while playing outdoors. Our shade structure was purchased through the chocolate sale fundraiser. Thank you to all that participated and helped us remain one of the best preschools in Chicago! 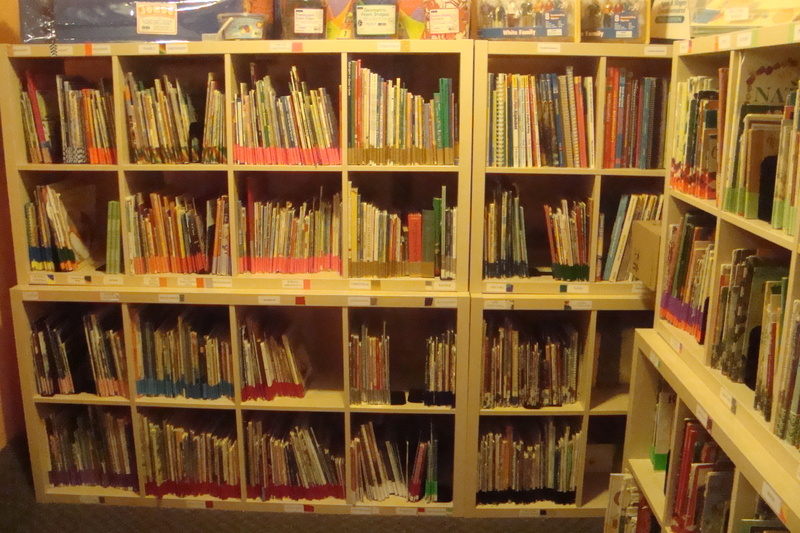 Storytime plays an important role in introducing children to reading and the magic of books. Although it is never too late to start, it’s is always wise to begin reading books to our children when they are very small, even before they can walk and talk. That is why at Toddler Town we set aside a portion of our daycare’s budget to constantly purchase new books for our library. Toddler Town Daycare uses the Ages & Stages Questionnaires: Third Edition and Ages & Stages Questionnaires: Social-Emotional screenings. Ages & Stages Questionnaires (ASQ) is a screening process used for children from one month to 5 ½ years of age. ASQ uses parents/guardians knowledge about their children to find strengths and/or possible concerns that might help or hinder their learning at our educational preschools. This lets us tailor our teaching practices to each child's needs. The screening process happens in a few easy steps. First, the parent/guardian will fill out the questionnaire for the specific age of their child. This can either be done online through an invitation through the daycare center or through a hard copy screening form. Next, the teacher and the parent/guardian will compare the scores in each area to the cutoff points on the scoring sheet. Lastly, the teacher will review the results and suggest follow-up resources or further assessment, if necessary. Toddler Town will start this screening within 3 months of the child’s enrollment at the center. The screening will also take place frequently throughout the child’s education at Toddler Town. Teachers will then have a conference with the parent/guardian about the results. This ensures that our parent/teacher conferences are more than simply, “Your child is a joy to have in class.” You can rest assured knowing that your child’s social, emotional, mental, and physical development is being monitored to ensure they do not fall behind. 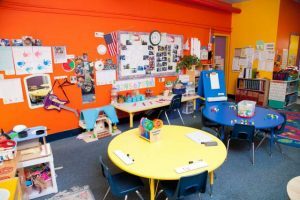 Toddler Town Day Care uses the Teaching Strategies GOLD© Assessment System.